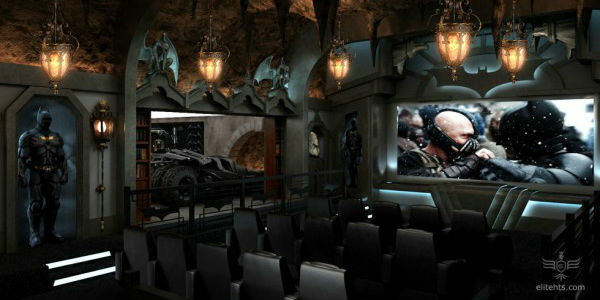 Well now, for the cine-phile who has literally everything, you can have a screening room built in the image of Wayne Manor. If you have 12,000 square feet going spare in your house, US company Elite Home Theater Seating, based in Blaine, Washington, can install a luxurious 15-seat cinema. This project was installed in a house which already boasted a room kitted out as Wayne Manor, complete with sliding bookcase, a bust of Shakespeare concealing hidden lift buttons and a fingerprint entry system. 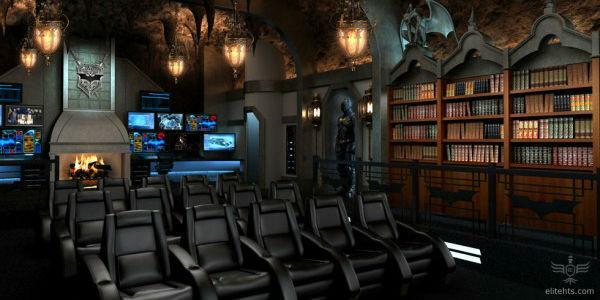 All it will cost you is a paltry $2 million (around £1.2 million). 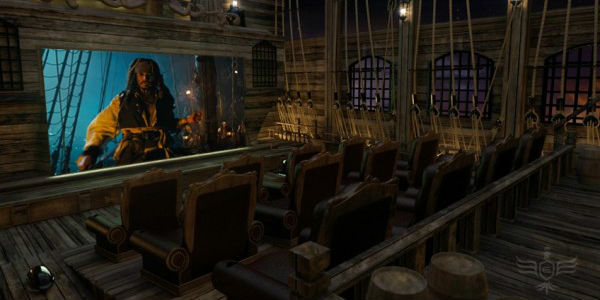 If Batman's not your cup of tea, however, you can have your own piratical theme instead just like the 'Pirates of the Caribbean'.